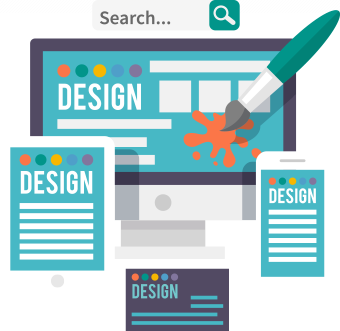 Web Design and Development Services Edmonton AB Canada Cancron™ Inc.
Just like it happen to the physical world, people may judge you by the impressions they get by looking at you. In the digital world, the website is your first contact point with your visitors. The quality, aesthetics and the appeal of the website will be what will make the visitors linger longer on your website. Digital marketing experts estimate the concentration span of any visitor is usually less than 30 seconds! If he or she does not find what he is looking for, he clicks the back button and goes to another website. Your site needs to capture the visitors’ interest from the word go and retain them long enough to read about your solutions. 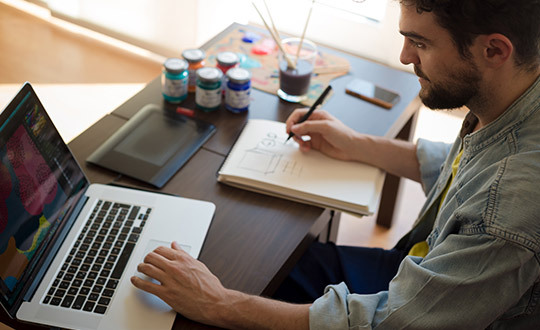 Our team of professional website developers can help you create a professional, SEO optimized, and captivating website that markets your solutions and engages your visitors. Among the things that we look at while designing your website, is the speed of loading, the ease of navigation, optimization, and responsiveness to different screen sizes. It is important that you create a unified message both offline and online. Your logo, branding, and company colors are some of the ways that you communicate the value of your solutions to your clients. On the Internet where there are hundreds of similar products, a great logo, and professional branding helps you differentiate your offering from all the rest. We are at hand to assist in the development of a logo that tells your story in a few words and an image, and extend your offline message to the online. We can help refine an already existing logo, slogan, or other types of business identity or create one from scratch. Did you know that the look of your website in terms of the font, colors, size and spacing has a bearing on the perception of quality, the length that the visitors stay on your page and likelihood of them understanding what you have posted on the website? A great looking website has a perfect match of fonts, colors, sizes and the background. If you run an e-commerce site or have mobile applications on your site, you need to be sure that the interface is friendly and engaging to attract more people to use it. Quality UI design takes into consideration the visual design of the software and the way it interacts with the user. We have highly experienced UI and graphic designers to ensure that your site appeals visually, is easy to use, has the right size of buttons, and the right combination of colors and fonts, for the ease of reading and navigation. The world has gone mobile. A new way that the businesses can connect with the users is by the use of mobile applications. The apps allow for personalized messages, the ability to market without intruding, and a way of keeping in touch with the clients at all the time. Mobile applications also make it easier for you to deliver services to the clients and offer the convenience of being served in the comfort of their seats. However, for a mobile app to connect with your target audience, it has to be easy to use, offer benefits, and be compatible with different mobile phone platforms. We help in building mobile applications that engage with your target market, increase sales, and help you get that important feedback from your clients. We get you noticed and create your unique brand personality that has a far-reaching effect on your market. We do not just give you templates, we offer customizable designs that are unique to your brand, helps maximize your internet presence, and visitor engagement. We work with you throughout the process until you get a perfect website. We consult severally on the way and get your insights. This way, the final website meets your marketing goals through high visitor engagement and general appeal.